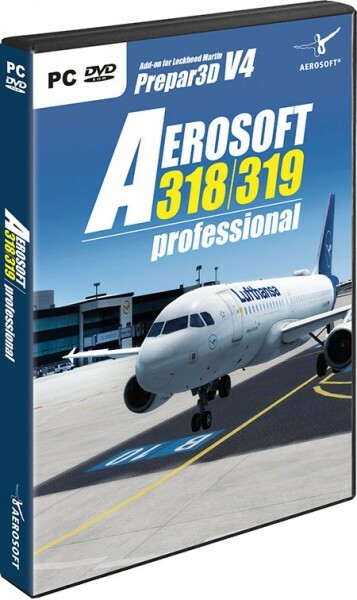 Aviation Megastore customers who previously ordered Aerosoft Airbus A318/A319 for FSX, P3D from Aviation Megastore are entitled to order Aerosoft A318/A319 professional upgrade for € 29,95. Write e-mail to info@aviationmegastore.com and provide ordernumber or date and name of previous purchase. Special link to UPGRADE download and special price will be sent via e-mail. Product information: "Aerosoft A318/A319 professional"
The Aerosoft A318/A319 is the first release of a completely new development where virtually every part of the previous releases is overhauled or redone. What remains is our dedication to the basic idea of the product. We simulate flying the aircraft and the aircrafts systems are just a tool, not the goal. Using this product will bring flight simulation as close as possible to the experience of a real pilot from interacting with the MCDU to opening the flight deck door using the correct procedure.